Welcome to the PPGZ and PPG Fan Club. Here U will find The Koolest pics of Blossem,Bubbles and ButterCup! Hope you enjoy my site! 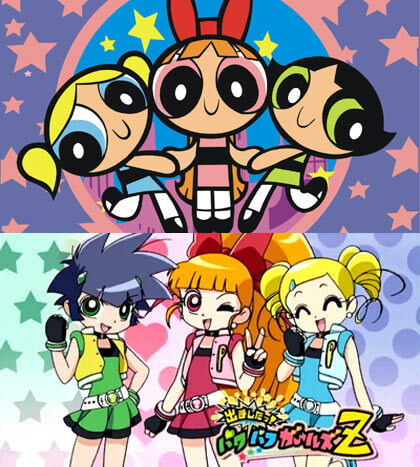 Powerpuff Girls Z and Powerpuff Girls ROCK! PPGs ROCK!!!!! And So Dose PPGZ!!! 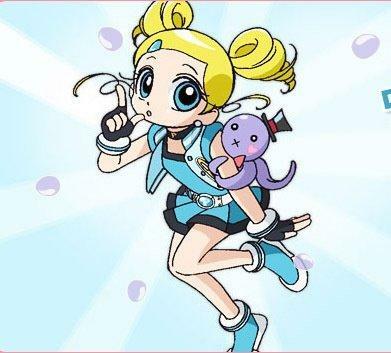 I would just like to tell U that Bubbles is the BEST Charcter EVER! Find heeps of Kool things on the site! Want to find really cute pics of the Roudyruff Boys? So how do u like the site? To change the video on you tube just put the mouse on the top of the you tube srceen and right whatever PPGZ or PPG clip u like! A Story I made up! <?xml:namespace prefix = o ns = "urn:schemas-microsoft-com:office:office" />WHERE'S OCTI! The city of <?xml:namespace prefix = st1 ns = "urn:schemas-microsoft-com:office:smarttags" />Townsville is the best place to be with the Powerpuff Girls saving the day. 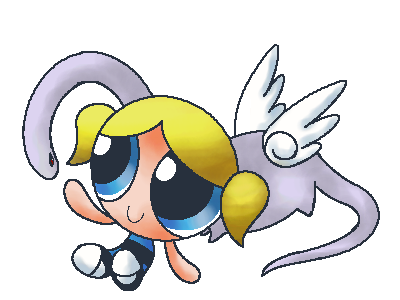 Huh, what is this Bubbles and Buttercup are fighting but this can’t be happening other wise the world is doomed NOOOO! Bubbles give him to me. But He is mine. Why can’t you share? But you don’t even like Him. Yes I do. Bubbles Buttercup will you just go to sleep. But Buttercup want give me Octi back. 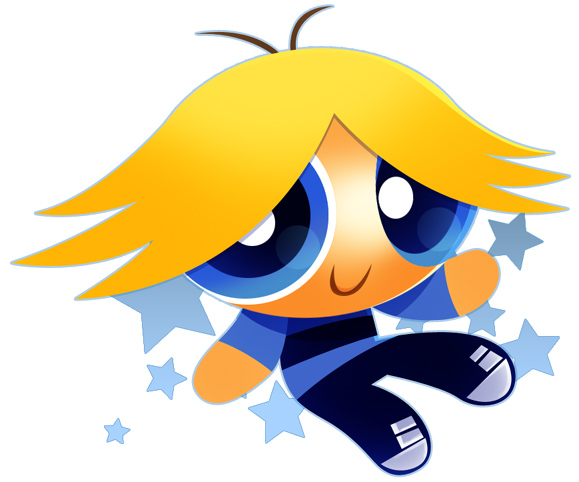 Buttercup, give Octi back to Bubbles. No Buttercup. But I got him first. But it’s mine! Grrrr. Blossem went down stairs to go see the Professor. Professor, Professor. What is it Blossem. Buttercup and Bubbles are fighting over Octi. Okay I’ll come up. See see. OKAY! Bubbles come here and talk to me. Now tell me every thing that happened. Well it started like this. When we were done saving the world from that comet Buttercup came home and went through my toys and took Octi. Then I asked her for Octi back and then she started to yell at me. And snff and I WANT OCTI BACK! WAHHHHHHHHH! Okay now Buttercup is that true yes but before she said I could borrow it. No I didn’t yes you did. No! Yes! No! Yes! Girls’ girls. 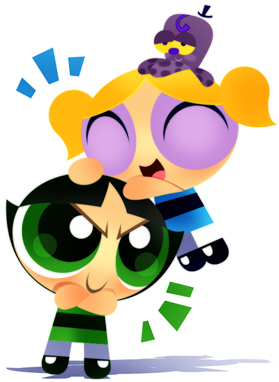 Calm down and Buttercup give Octi back to Bubbles. Fine. Good girl. But Buttercup did not want to give Octi back so she hid it under the bed. Umm Professor I can’t find it. WHAT! Screamed Bubbles! I miss Octi already. Don’t worry Bubbles we’ll find him for U! Thanks Professor, but I want Octi nowwwwwwwwww! Shhhhh, Bubbles we’ll find him we promise. Okay. Blossem and Bubbles went to sleep but Buttercup was trying to sleep but she just couldn’t. She felt really guilty that she hid Octi away from Bubbles. Okay I am going to give Bubbles Octi tomorrow morning. Then she fell asleep strait away. The Next morning in the City of Townsville The tree Girls are awake and let’s see if Buttercup will give Back Octi back to Bubbles. Hey look everyone. I found Octi. What where. Under the bed. Someone go get the Professor and tell him I found him. No wait I’ll race down and tell him now. Bubbles races down to the Professor and tells him the good news. Professor look I found Octi. You did. Well your a very lucky girl. I know. Then Bubbles was happy that she got Octi back and Buttercup was happy 4 her aswell. If you dont Know who Octi is on the very first pic on Bubbles head that little toy, thats Octi! And on the 4th pic there's Octi again! Just wanted to tell u that Boomer is the Cutest guy out of the Roudyruff Boys!